It's been quite sometimes the last time I remember wearing a watch. I'm very picky for some reason. I'd like it to be simple, neutral color and not too shiny. I know, most people I know would like to have a shiny bling but not me. Anyways, I'm very fascinated when I saw this watch online. I never hesitated to apply and got approved. I was approved to work on a review about the elegant wrist watch. The item arrived in the mail in a great condition. The packaging seems to be okay, though it's wrapped in an envelope. No signs of any damage that I was happy to used and examine it. ★ ADVANCED TECHNOLOGY: State-of-the-art quartz technology movement shows precise time. 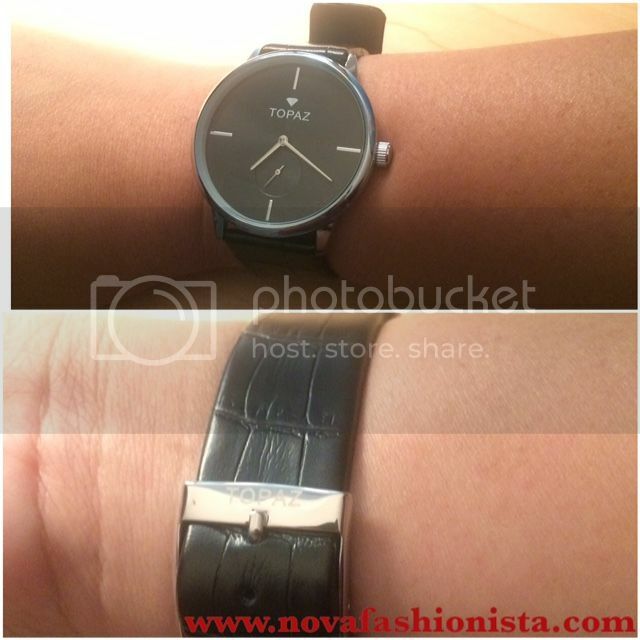 ★ AFFORDABLE PRICE: Designed as a luxury watch for an incredibly affordable price. Great for all boys, girls, men and women. ★ DESIGNERS sophistication masterpiece with small second subdial above 6 O'clock. ★ ROBUST DESIGN: Equipped with a stainless steel case makes it extremely durable. ★ WATER RESISTANT to 99 feet.(30M). Withstands rain and splashes of water but not for showering or swimming. The product is very handy. I adore the simple design yet looks very elegant. Light weight, so if you are looking for a nice dress watch, I would say to take a look of the features and see if this would soothe your needs. The watch is locked when I first hold it. There is a small plastic that attached to the side of the watch, and can be easily be removed once you are ready to use the watch. The watch bracelet is also nice, it looks sturdy and I don't feel any hard material that is digging into my wrist. Adjustable watch bracelet too, although at the very first time you use it. The bracelet seems to be firm. The analog watch is very sophisticated. The numerical numbers are also obvious as well as the minutes. I love the design and the bottom of the watch. For the sale price of $29.95, it is a pretty decent watch to have. I would recommend and would actually purchase this for a gift. I love the simplicity! It's definitely something that I'd wear without a doubt! I used to love wearing watches but now I don. That looks good though. The price iis just right for that watch. I've been looking for a new watch for the past few days. You found a nice one! Lucky you!